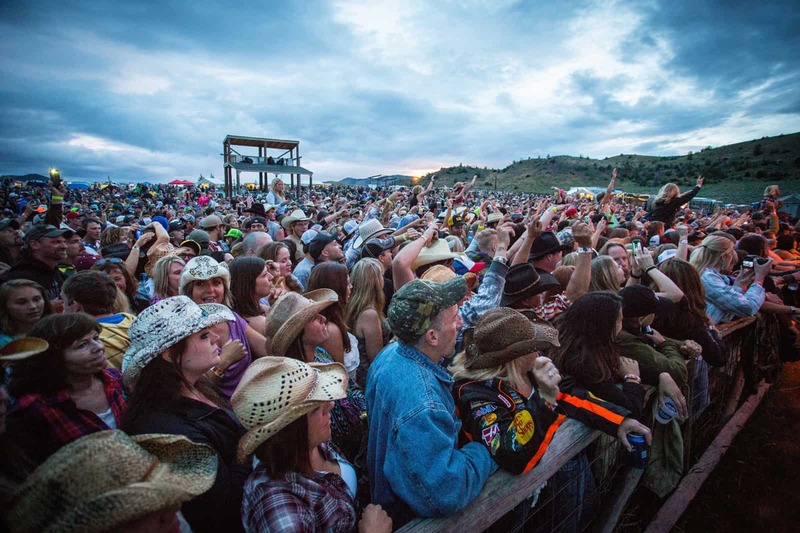 Headwaters Country Jam is not responsible for lost or stolen tickets, theft, loss or damage of personal property or personal injury. All items are subject to availability and prices can change without notice. Festival wristband and camping/parking window stickers must be visible at all times. Wristbands and camping/parking window stickers are void if tampered with or removed. Line up/set times subject to change without notice. Everyone and every vehicle is subject to search upon entry. The festival is all ages. Children ages 10 & under are free in general admission areas and campgrounds. No visitors will be allowed in the concert grounds unless they purchase a ticket. No exceptions. Please leave your valuables at home or locked out of sight in your vehicle. Headwaters Country Jam is not responsible for lost of stolen belongings. All alcoholic and non-alcoholic beverages inside the concert arena must be purchased in the arena. Any unauthorized containers will be confiscated. One unopened bottle of water per person will be allowed to be taken in. No glass containers in the arena or in the campgrounds, period. No pets are allowed anywhere on the property. Service animals need to be authorized by Headwaters Country Jam management. No video cameras or recording devices inside the arena. No weapons. Any weapons will be confiscated and will not be returned to owner. One motorized vehicle is allowed per campsite. Any additional vehicles will be required to purchase a Companion parking pass for a fee prior to the festival and must fit within the confines of your campsite. No open fires due to fire danger. Self-contained propane grills are allowed in the campsite area only and must be under constant supervision. No fireworks. Any persons found using illegal substances or caught drinking alcohol under the age of 21 will be turned over to the Jefferson County Sheriff’s Department.